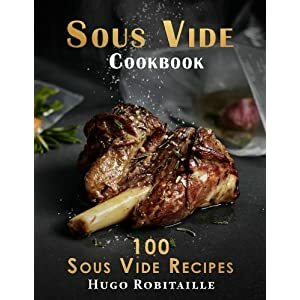 Tags: cookbook, cookbooks, precision cooking, recipes, sous vide, sous vide cookbook, sous vide cookbook recipes, sous vide cookbooks, sous vide cooking, sous vide recipe, sous vide recipes. If you nodded your head “Yes” then this book was written for you! 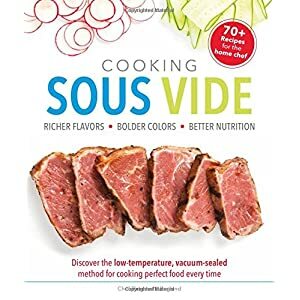 Modernist Cooking Made Easy: Sous Vide is the best selling sous vide book available and the authoritative guide to low temperature precision cooking and it will help make sous vide a part of your everyday cooking arsenal. 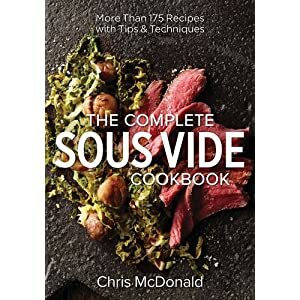 Sous vide is a simple an extremely effective way to cook. 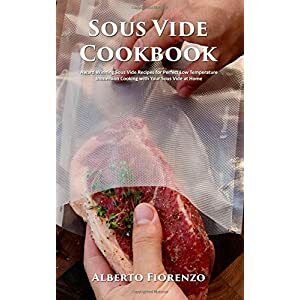 This book covers every step of the sous vide process, from seasoning, sealing, and temperature control to how to determine the times and temperatures needed to turn out great food. 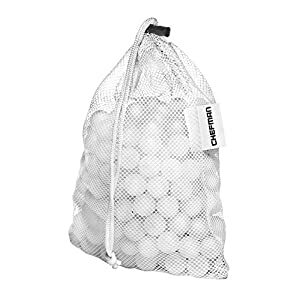 There are also extensive write ups for the main types of food including steak and red meat, pork, fish and shellfish, eggs, fruits and vegetables, and much more. • The bulk of this book is the more than 85 recipes it contains. 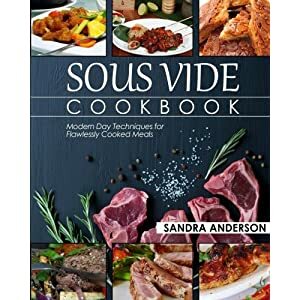 Designed so you can skim the recipes, looking for something that inspires you, or turn to a specific recipe to learn all about how to cook the cut of meat it features. 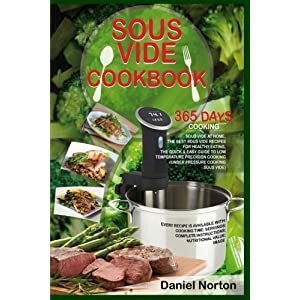 • A detailed look at the entire sous vide process, including pre-sous vide preparation, sous vide sealing, temperature control, determining time and temperatures, and finishing sous vided foods. 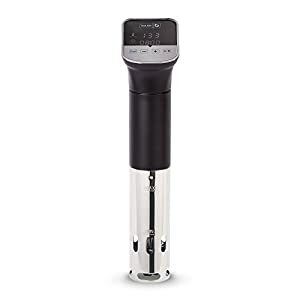 • An introduction to the equipment you will need for cooking sous vide. 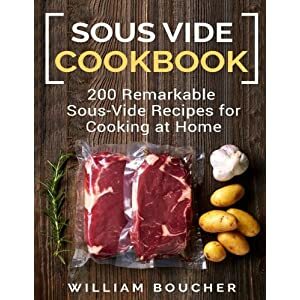 From a simple no-cost method that will allow you to give sous vide cooking a try, to a low-cost setup that will meet all of your sous vide cooking needs. 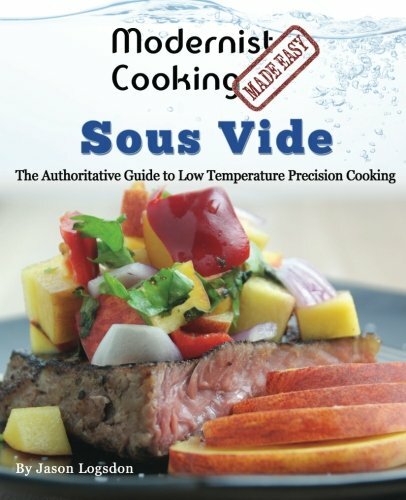 • A comprehensive sous vide time and temperature chart, as well as cooking-by-thickness times. 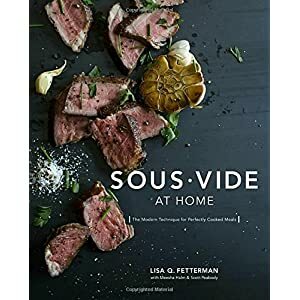 • More than 35 “Modernist Notes” with suggestions for using modernist ingredients and techniques to turn everyday meals into upscale and elegant dishes.